Daniel: It has been an absolute pleasure seeing Elliot Ackerman’s progression as a fiction writer. Green on Blue is one of the best debut novels you’ll ever read, and his follow up, Dark at the Crossing, was a finalist for a National Book Award in 2017. None of this is surprising given Ackerman’s thoughtful nature and his reporting experience in war zones across the globe. He’s one of those writers you throw your to-be-read pile out the window for whenever he publishes a new book. Waiting for Eden, which lands on bookshelves on Sept. 25 and tells the story of a wounded soldier “imprisoned in his own mind,” will be no exception and is set up to be Ackerman’s best yet. Daniel: I lost track of all the gut punches featured in C.J. Chivers’ The Fighters: A corpsman is shot in the face and walks off the battlefield holding his jaw in his hands, an experienced pilot loses his life , an experienced pilot loses his life to what at first seems like a survivable wound, and a mother confronts a President about how his decisions affected both the war abroad and the war at home. The nonfiction narrative is a good reminder that the nation remains at war and puts a human face on the true costs of the conflicts we’ve engaged in. 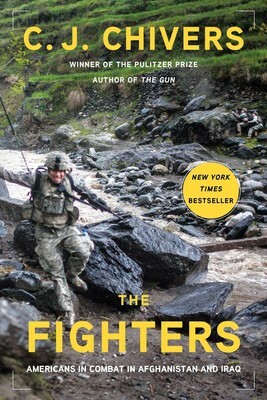 The Fighters may not be an easy read, nor should it be, but it’s a necessary one. Daniel: I’ve been studying history since I started pulling ginormous tomes off my older brother’s bookshelf in middle school. I took graduate courses at Queens College with a focus in U.S. foreign policy and warfare. I’m ashamed to admit that the first time I encountered Joseph Warren was in Nathaniel Philbrick’s Bunker Hill (which I read right before I moved to Boston). 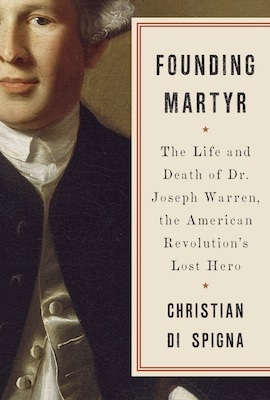 Christian Di Spigna’s Founding Martyr goes a long way to ensuring that Warren escapes academic and popular obscurity. Di Spigna uncovered fascinating new information about one of Boston’s most important rebels, such as the mourning ring he wore after his wife passed away and his flashy “pink limousine with a fountain in the back”-style horse and carriage. During our podcast interview, the author instructed aspiring historians that they need to be passionate about the subject they’re investigating because at times that investigation can lead down dead-end rabbit holes or take much longer than expected. It’s clear from Di Spigna’s clear and engaging prose that his passion was not in short supply. Joseph Warren is severed honorably well in this narrative, and we can’t wait to see what historical treasures Di Spigna unearths next. Rebecca Weston: Bitter and Sweet, Sandra V. Feder’s latest picture book, tells the story of Hannah, a young girl who has to move to a new house in a new town, go to a new school, and make new friends. It feels completely unfair. When Hannah’s grandmother sees her distress, she tells Hannah that she, too, had to move when she was young—from “the old country.” Hanna’s grandmother explains that change often has some bitter parts, but it has even more sweet ones. Still, Hannah struggles to find the sweet in her new home until, through a kind gesture from her new friend, Maya, Hannah realizes something important about the sweet in life. “‘You can’t just find it. You have to add it yourself,’” she tells her grandmother. This surely is a lesson from which we all, young and old, can benefit. I had great fun speaking with the author about her book. Listen to our interview! Mike Nelson: As with most days, I was on the train and took a moment to appreciate just how many people had their faces magnetized to their phone screens. I looked up and saw an ad for this book, and I laughed when I saw the subject and considered the irony that no one on the train will see the ad because they're so distracted. The Distracted Mind addresses the elephant in the room: just how much are [mobile] devices and screens affecting our brains, putting numbers and studies behind hypotheses you may have already formed. You might not realize just how dangerous a life of limitless device interactions is until you read this one. Real ghosts don’t lift the rag-covered tables of mystics. They don’t fill the hazy crystal balls of charlatan mediums who travel in gypsy carts. They don’t rattle chains in the attic or rearrange furniture in the cellar. They don’t bend to your will. Do yourself a favor and get haunted by this book as soon as possible. Nick Kreiss: Lisa Brennan Jobs' memoir is so clear-eyed, wholehearted, and perfectly drawn, everyone should read it immediately. She's a uniquely gifted writer, equally capable and poetic. Every word feels like the truth and every emotion rings both specific and universal. This is a truly remarkable memoir, as poignant and distinct as any I have ever read. Come for Steve Jobs if you have to, but I promise you'll stay for Lisa. She's really something else. Daniel: Trident Booksellers & Café re-opened last month after a fire and subsequent water damage, and I finally dropped into the store this past weekend. R.O. Kwon’s The Incendiaries has been on my reading queue forever and it stared at me from its shelf right when I walked in the door. I thumbed through the pages and set the book down, only to come back to it moments later to start reading in earnest. After 15 pages, and getting bumped into by several less-than-thrilled patrons, I decided the best course of action was to buy it and read it while sipping red wine and watching the New York Giants’ inept offense. The Incendiaries has everything I love in a novel: coming-of-age angst, shadowy cult-like figures, doomed love story. 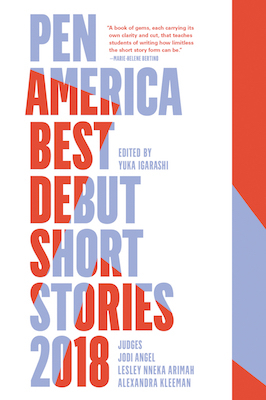 Kwon’s sharp writing unnerves you as this story unfolds, and, like all great fiction, will leaving you wanting more. Daniel: Kya Clark’s downtrodden family lives and works on the fringes of society, deep within the marshland of the North Carolina coast. As her family abandons her one by one, Kya, dubbed “Marsh Girl” by the suspicious and fearful nearby town, has to figure out how to manage her hardscrabble life alone. She dodges social workers, avoids school, and catalogs wildlife without being able to read or write. She also makes friends and allies along the way, including two young men who vie for her affectations and set in motion the plot of the second half of the book. By the third act, I was holding my breath for several characters who I came to really love. Delia Owens clearly fell in love with all of these characters as well, which is evident from how much life and verve she breathed into each one. Reese Witherspoon recently selected the novel for her book club, which will likely lead to a much larger audience falling in love with Where the Crawdads Sing. Stephanie Ford: Savor the final days of a summer with Miriam Parker’s debut novel (and perhaps a glass of wine). Set in northern California, the rom-com esque read follows Hannah, a 30-year old MBA grad who opts to follow her heart instead of the status quo. After trading a six-figure New York City finance job and long-term boyfriend for a position at a family-run winery, she wonders if she made the right choice. Filled with notes of feminism, free will, and romance, it’s light and refreshing—much like your favorite bottle of rosé. Daniel: I mean, come on, how could I not love a character named Roland Ford. T. Jefferson Parker’s hero returns to the page in Swift Vengeance. In this novel, the author delves into the issue of drone warfare, and the toll it takes on those that carry out drone strikes. What does it mean to be at war but also in the United States? And what would happen if the protection of the homeland was stripped away and you had to face consequences for your mistakes? Parker grapples with these questions while also giving us a fun, action-packed thriller. Nick: Sally Rooney might be the most exciting young voice in fiction, and her second novel is anything but disappointing. The story is as sharp as you think it is, the characters are expertly drawn, and Sally's writing is as good as it gets. There seems to be absolutely no ceiling on what she can do, and I can't help but be tremendously excited for her rapidly blossoming career. This is a near-perfect love story with writing so real it leaps off the page. Nothing feels as authentic and precisely right now as this one. Enjoy it. Taylor Krajewski: This novel is really dense, but such a great read. It's a retelling of King Lear set in modern day India. I've been reading it with a Wikipedia cheat sheet next to me since I read King Lear sophomore year of college, but I think even those who don't like Shakespeare will find this interesting! David Joy: This is a novel I've been patiently awaiting since I turned the final page of his last four years ago, In the House of Wilderness may be Charles Dodd White's finest achievement to date. This is a story that at once moves and lingers, well paced but dripping with the language we've come to expect from his pen. Line for line, White is one of the most talented writers at work in the American South. Daniel: We’re constantly bombarded with news on President Donald Trump’s chaotic administration, so I don’t begrudge anyone who skips Bob Woodward’s latest book Fear. However, there’s no one better at this type of journalistic narrative than Woodward. There are plenty of selections from the book that have landed in all manner of media publications, but taken as a whole, Fear is a fascinating and troubling look at the state of our country’s leadership. I don’t think anyone in this narrative comes off particularly well, which is not only a reflection of those individuals, but also us as the voting public. Presidential power has rarely been yielded well in terms of foreign policy in the last several decades, and Trump’s brash leadership style (or lack thereof) proves it may be decades still where we find a Lincoln for our times. “A general rule of thumb is that vampires make bad neighbors.” Jonathan Rosen’s latest middle grade novel, From Sunset to Sunrise, gives readers a winning combination of funny and scary in this wild, entertaining book. With laugh-out-loud wit and unpredictable plot twists, I couldn’t put it down. I love smart dialogue, so the sharp, hilarious banter between characters kept me turning pages. Lest you think that this is strictly a book for kids, let me assure you that there are plenty of inside jokes and satire for adults as well. Who among us didn’t have nightmares about our stuffed animals coming to life as evil killers, or suspicions about our next-door neighbor having evil powers, or a crush on the girl or guy next door? A touching blend of humor and heart rings true throughout the shenanigans of the undead, killer bunnies, bats, witches, and warlocks, as twelve-year-old hero Dexter navigates his relationships with friends and family while falling in love with the vampire next door. With just the sort of fresh voice that appeals to both reluctant and avid young readers, fans of Dave Barry, Jeff Kinney, and R.L Stine will love this fast-paced, fun follow-up to Rosen’s Night of the Living Cuddle Bunnies. Plan on reading it in one sitting. Rosen’s writing will capture your heart and leave you laughing all the way to the blood bank. Dave Pezza, Rebecca Weston, and Daniel Ford discuss Tommy Orange's debut novel There There. This episode was recorded at the PRX Podcast Garage in Allston, Mass.